Found in Miami-Dade County, Miami Springs was once known as Country Club estates. It was created by Glenn Hammond Curtiss in the 1920s land boom. Mr. Curtiss was famous for being the “father of naval aviation” as he was known for his career in creating engines for airships. His city, Country Club Estates and many others including Opa-Locka, Coral Gables, and others in Miami-Dade County were the first communities that had solid plans in the state of Florida. Surrounded by Hialeah, Medley, Virginia Gardens, and more of Miami-Dade County, the cities total of three-square miles of land boasts winding roads and packed intersections. All these roadways are prime locations for disastrous, and sometimes fatal car accidents. That is why a team of personal injury lawyers that has been in service since 1963 is exactly what is required when you find yourself in such incidents. 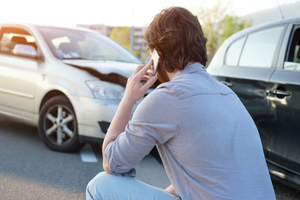 Calling right away after an accident is always the best step in ensuring that you have the best legal advice available. Information fresh in your mind is finest when determining if you have a case that we may be able to help you with. Calling at (305) 285-1115 is not only free and at no extra cost to you, but also one of the most important steps you can take after dialing 911. It is estimated that 30,000 people die every year from car crashes, and 2,400 of those fatal statistics here in Florida comes from traffic related accidents alone. If you or your family has been in a car accident, and you’re looking to find out how to best defend yourself, or to know what the next step is, it is important to call Wolfson Law Firm as soon as you can. Try to avoid other injuries by oncoming traffic that is trying to pass you. Ensure that you’re safe and anyone in the car is no longer in any danger. Call 911 right away, it is important that if anyone needs medical help, that the appropriate people are moving right away to do what they need to. The initial shock of the accident may numb you an injury, and it is best to let a medical professional look you over rather than finding out later just how hurt you are. Take photos and videos of the incident. Photographic evidence is important, video evidence is just as good, it allows your lawyers to get a better look at the scene and determine what information will work best in helping your case. Report the incident to your insurance company. Not doing so right away will likely come back to bite you, best get it out of the way and know you’re covered. Call a law firm with decades of experience that provides free consultations in regard to accidents, wrongful death, and many other legal proceedings. With more than five decades of client service, the Wolfson Law Firm is prepared to help you to the best of its ability. These incidents are should not be left handled alone, and those with the experience to help you are the best qualified. Do not hesitate to call us at (305) 285-1115 so that you know that you and your family members are getting the answers to any questions. We are here to assist you.